Community Outreach Leads help us bring girls from underserved areas to the event. Event Planning Leads help us plan the event. The estimated time commitment for our Community Outreach Lead position is 2-4 hours per week for the five months leading up to the event, July – November. And then a 5-6 hour day at the event on Saturday, November 12th in Washington, DC. Our Community Outreach Leads are responsible for bringing girls from underserved communities to our events by gathering dozens of volunteers to bring small groups of girls. We call these group leader volunteers “Ambassadors” (see diagram). An Ambassador is a person who volunteers to bring a group of girls to the event with him or her. This can be a group of 3 girls or 100 (or more!) girls. All Leads and Ambassadors get free tickets and of course all girls are free as well. See other great perks for being a Lead. The estimated time commitment for our Event Planning Lead positions is 5-10 hours total leading up to the event in DC, and then a full day for the event on November 12th. Organizing getting large groups of girls to the event using donated or reduced cost local transportation services. This includes drop off and pickup coordination on event day. This may be a solo effort for planning and then require you to build a small volunteer team for event day. Organizing donated snacks and lunch during the event for girls. This includes distributing the food during the event. This may be a solo effort for planning and then require you to build a small volunteer team for event day. Organizing the donor, sponsor, volunteer leads and speaker VIP party after the event. This will require you to build a small volunteer team for planning and during the party. Taking care of speaker needs including refreshments in the Speaker’s lounge backstage at the event. This will likely be a solo effort but you may want to build a small volunteer team for event day. Sending out press releases and coordinating all media coverage during event day. This will likely be a solo effort. Organizing the Will Call ticket area for all volunteers and Event Ambassadors to pickup their group tickets on event day. 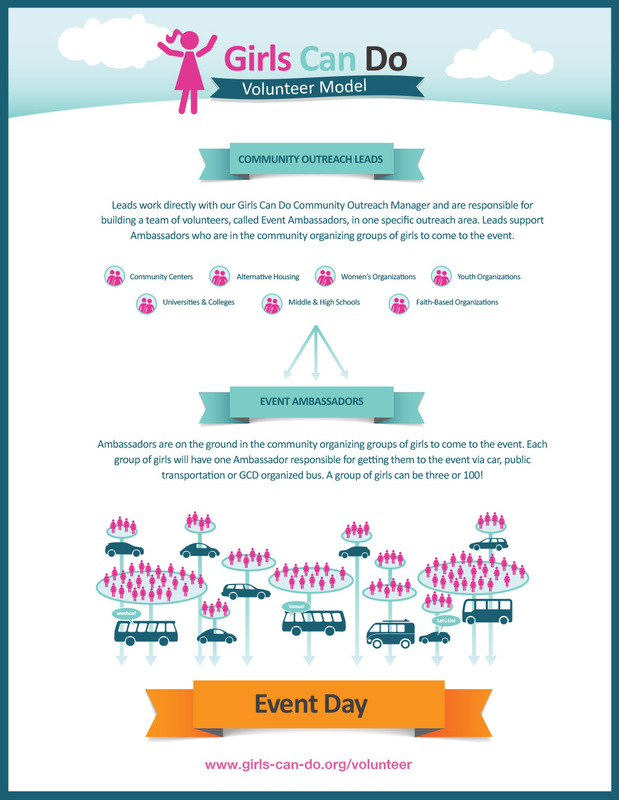 This will require you to build a small volunteer team for both planning and on event day. All Leads get free tickets and of course all girls are free as well. 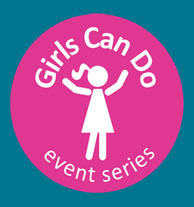 Thank you for your interest in Girls Can Do and for being a Possibility Thinker.